The Grace Year Fellowship is an experiential learning and professional development program for recent college graduates who share a desire to pursue lives of service for the common good. Grace Year Fellows live together in intentional community at the Grace vicarage for twelve months of focused spiritual growth, leadership development and study of the social justice issues which currently face our world. Through reading, reflection and discussion, Fellows clarify core values, discern their purpose and develop goals to serve as stepping stones along their paths of personal and professional progress. Their various Praxis Positions, at which they spend 30 hours per week working on projects and developing skills, give Fellows the opportunity to work with local non-profit organizations, or Site Partners, to put theory into practice. The New Generation Fellow divides her time among MCP, the Grace Church Sunday School, CONNECT Youth and EPIC (Engaging People in Change). Marcella Gallo is the Grace Year Fellow for MCP this year (Aug. 2018-Aug. 2019). She has recently graduated from Vassar College in Poughkeepsie with a degree in Religion. Her presence this year is meant to be in service as an administrative assistant to Deborah, the director, as they work to create and run the new website for MCP. 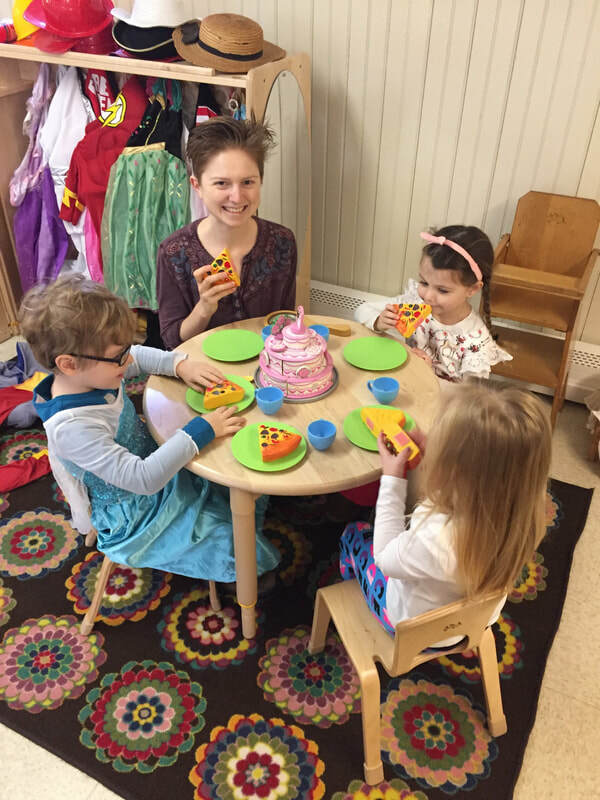 Marcella also arrives early each morning to be with the early drop-off children, and participates in morning circle time, during which she leads guided meditations for the children and teachers on Tuesdays and Fridays. On Fridays she stays at preschool all day. Additionally, Marcella fills in as a sub or an extra set of helping hands throughout the week when needed.